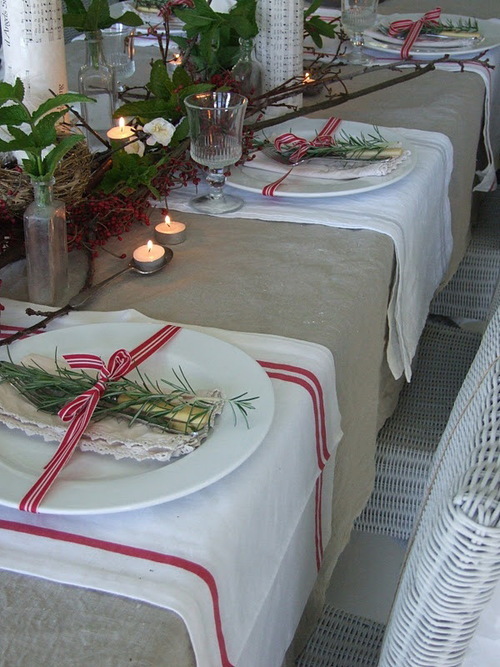 One thing I look forward to every year is planning the Christmas table decor:) Now I have learnt over the years that keeping it simple is best-after all you have to leave plenty of room for the food and drink! 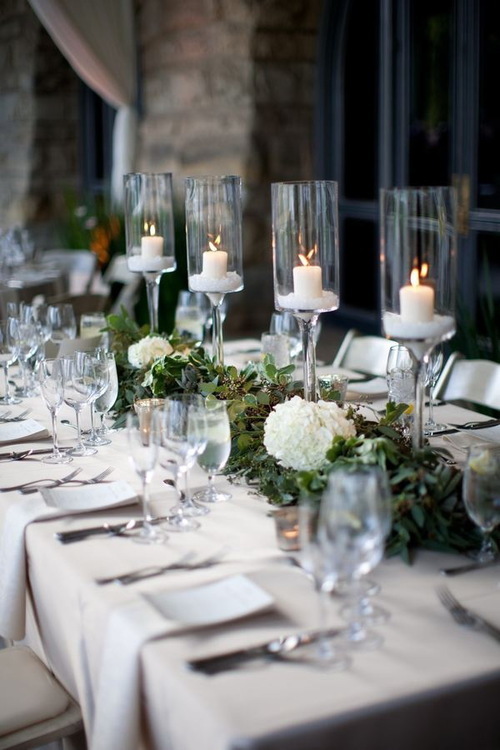 I have used greenery with white flowers before and loved how fresh it looked! 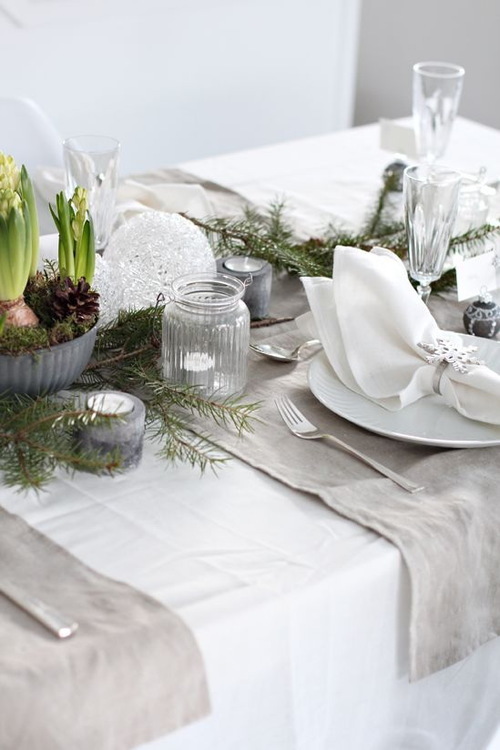 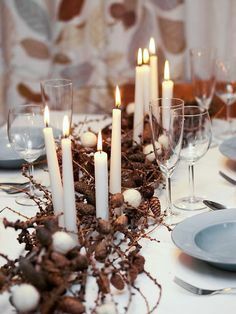 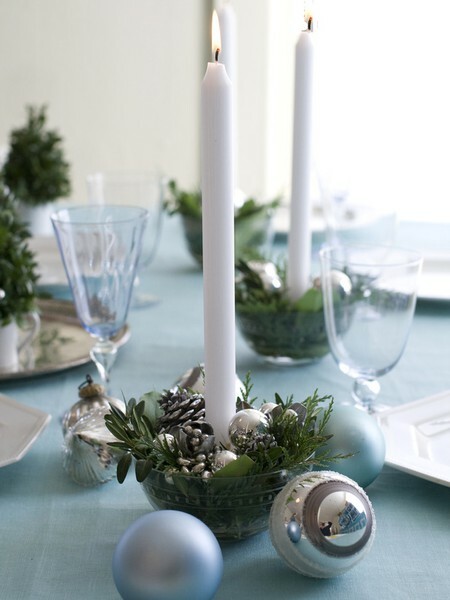 If you want a more natural and rustic look, this branch, pine cone and white candle centerpiece would look fab!